As in years past, the 2019 Student Research Conference has quite a showing of Religion majors and minors! 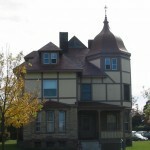 Students will give traditional conference papers, poster presentations, and a creative presentation that utilizes sound. Topics engage notions of idigeniety, imperialism, nationalism, sustainability, gender, race/racialization, sound, capitalism and tourism. 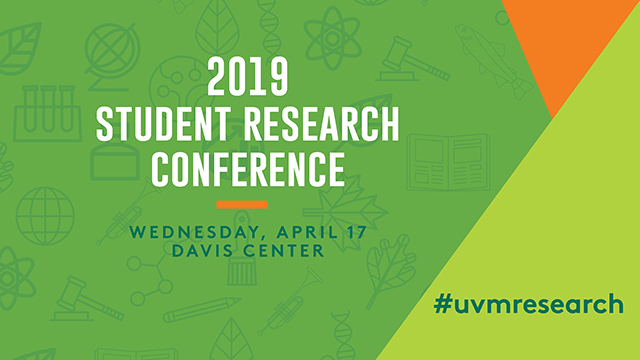 The Student Research Conference has a 12 year history at UVM and continues to grow in its scope, format, and impact. It is an all day event on Wednesday April 17 in the Davis center. We are really proud of our seven scheduled presenters. Join us if you can! ABSTRACT: I was born in Vermont but I’m not a “Vermonter”. What is this statement based upon? and why do we have it? and what work is it doing knowingly or not? I attempt to trace the ideological process behind this identity claim—one that carries significant capital in terms of marketing and brand building but is also reflective of an American rural ideal that is racially and ethnically crafted and inherently gendered and nationalistic. I question why this identity is so celebrated and powerful in an effort to think about how imperialism and empire operate ideologically and economically. While Vermont appears to be a thriving “sustainable” agricultural state, it is structured to take for granted the patterns of marginalization and power that were inherent in the shaping of the identity. If we take for granted these markers of identity without critically assessing them, we will continue reiterating the hegemonic colonial metanarratives that are not “sustainable”, but are, as we know, harmful socially, environmentally, and economically. ABSTRACT: The question of historical agency and sovereignty is one that cannot be easily answered, as history is dictated by agents of imperialism rather than their subjects; such is the case of the Abenaki, or Alnôbak. The Abenaki, as explained by Frederick Matthew Wiseman, are “the descendants of people who lived in Vermont, New Hampshire, and Western Maine ‘since time immemorial,’ as they said in 1766” (9). Despite their long history, spanning thousands of years in Northern America, Wiseman says that many White-Anglo settlers throughout Maine, Vermont, and New Hampshire assumed until the early twentieth century that the Abenaki had left, essentially exiled from—and Othered in—their own land. He specifically notes that “Anglo historians seem to lack research interest or tools to discover much about the Alnôbak of this time, so their lore is lacking” (118). This lack of interest in the native inhabitants of a since colonized land is not surprising, as acknowledging the original and sustained presence of a sovereign Native people could prove problematic for modern American government and legislation. Through this project, I will elucidate how the distinct yet deeply intertwined influences of race, religion, and science affected the Alnôbak and their interactions with Anglo-settlers, with an aim to understand how the Alnôbak express their agency in a colonized space. ABSTRACT: Beyond simply a category of explanation, religion is a category of contestation. Despite the instability of the category of religion, governments worldwide participate in signifying what does and does not count in their laws and legal systems. The systems of law in France provide no exception. French laws reflect a desire to differentiate church and state, or laïcité. However, beneath the surface, particular institutions remain privileged. France is a country that claims secularity, yet within that secularity lies an institutional understanding of what religions are and what that means for the law. Legal systems in France are saturated with Catholic undertones, and laws regarding religion disproportionately affect minority religious communities under the masquerade of neutrality. Thus reflecting anxieties emerging from the encroaching “other” which are obscured by labels such as ‘Islamophobia.’ In this project, I examine legal efforts to differentiate religion and non-religion with a focus on recent court cases around school lunches and the rights of religious minorities. ABSTRACT: Kagbeni, Nepal is a town which sits at a series of overlapping crossroads. With the restricted region of Upper Mustang to the north, and a popular pilgrimage site to the east, the town is constantly being shaped by globalization, religious and cultural identities, and tourism. I explore each of these forces in turn, centering my analysis around the mode of sound. 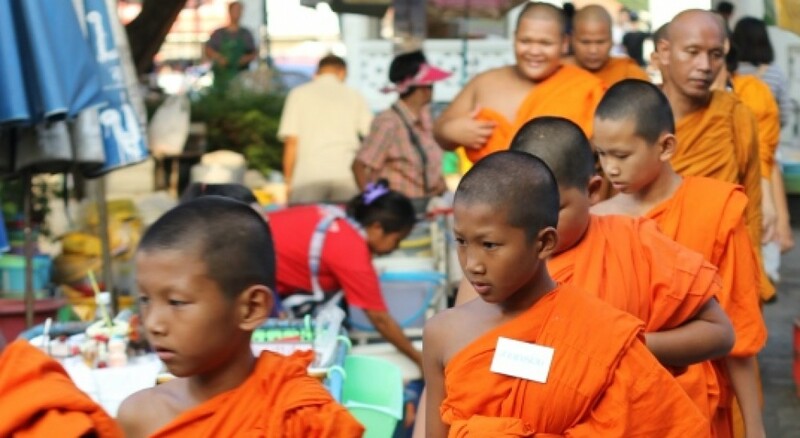 This project combines anthropological methods of participant observation with theories from sound and religious studies in order to present a new way of understanding the forces shaping Kagbeni. How does sound claim space, and how does it reshape the communities who live in Kagbeni? In order to better answer these questions, I have curated a series of sound compositions to accompany this project. Each composition focuses on a theme: politics, religion, and tourism. Taken as a series, along with a written analysis of daily life in Kagbeni, these sound compositions draw attention to the ways that outsiders perceive the Loba community who lives there, and how these perceptions impact the lives of the Loba in turn. ABSTRACT: In October, 2012, the Catholic Church canonized Kateri Tekakwitha, an Iroquois convert to Christianity who lived in the 17th Century in modern day New York and Quebec. The actual story of Kateri, colonial sainthood, and the missions of the French Jesuits, however, is one that illuminates a discursive warfare whereby Jesuit missionaries used sainthood to assert gender roles that they relegated to distinct racial groups. These gender roles perpetuated a traditional medieval discourse that justified imperial invasion. The martyrdom hagiographies and Jesuit Travelogues I investigated expose this discursive operation. Martyrs were portrayed as physically effeminate to highlight the brutality of the Iroquois as well as spiritually heroic and masculine to justify their control of the North American landscape (which was a feminine force that needed male protection). Other hagiographies operated to endow the Jesuits with a sense of collective identity with Old World Catholicism. This set them apart from and above their native neighbors who, in hagiographies, were often treated as objects to accentuate the white saint’s holiness, either as villains to overcome or as lost souls to convert. Through motifs of martyrdom, Catholic collective identity and gendered landscape, the Jesuits created a mythic narrative that enforced a racialized state, glorifying white Christian identity and vilifying native identity. While this rhetoric created a nearly infallible conception of race (then and now), the Jesuits were challenged by the category of native saint. Native saints abandoned their indigeneity, but were still not considered to be on the same tier of perfection as European saints because of their inherent racial otherness. My project locates the discursive machinations behind the creation and maintenance of that racial otherness and, through investigating native sainthood, exposes the ultimate fallacy of race as an absolute, heterogeneous category. ABSTRACT: Medieval manuscripts concerning the daily lives and miraculous experiences of living saints contain a great deal of information on how devout Catholics interpreted and understood religious practice and bodily suffering. These manuscripts were written by either the saints themselves, or a scribe and confessor of the saint. In this presentation I examine one such manuscript, Thomas of Cantimpré’s vita of Lutgard of Aywières, in order to understand how medieval fasting practices and conceptions of the body contributed to ideals of female piety in medieval England. In particular, I utilize feminist theories on medieval texts to explore how male scribes writing about female saints contributed to these ideals and thus reinforced gender norms within the catholic church. Based on the emphasis in these texts on Lutgard and other female saints taking on the role of Christ’s virgin bride, I argue that the emphasis placed on female bodily suffering depicted in these texts reflect a societal desire for a more passive female subject. My investigation of this case sheds light on how religious texts attempt to structure religious and social behavioral norms within a society as a whole. ABSTRACT: The area that is now deemed as the state of Israel has a complex colonial history. From the Ottoman Empire to the British Empire, this region has always been occupied by a form of colonial power. Indigenous Bedouin people inhabited this region before and alongside these empires, and since Ottoman times have been treated as an internal colony of each empire. With this massively influential history, it should come as no surprise that Israel itself has now become a colonial state. In an exertion of its colonial might, Israel has maintained the internal colony status of indigenous Bedouin people through the decimation and claiming of their spaces.Through processes of imposing racialized, religious categories on Bedouins, the Israeli government defines them as people who are outside of the “normal” body politic, stripping them of rights and humanity. This dehumanization allows Israel to justify its claim to Bedouin spaces. In claiming Israeli authority over these spaces, the government subsequently redefines them as Jewish. The Israeli government imposes a strict definition of white Jewishness to place, completely undermining Bedouin cultures and lifestyles that are deeply tied to land they have inhabited for thousands of years.